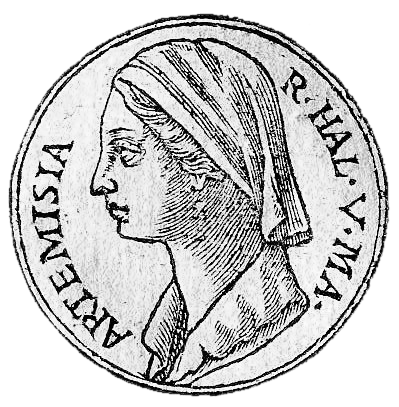 Figure 1: Artemisia of Caria. Adapted from Guillaume Rouille. Promptuarii Iconum Insigniorum. “Artemisia I of Caria.” Wikipedia. com. Wikipedia. Web. 31 Jan. 2012. King Darius of Persia tried to invade Greece after a series of revolts, but was defeated at the Battle of Marathon. In 480 BCE, the Persian King Xerxes I, the son of Darius, began a second invasion of Greece (“Battle of Salamis”). After defeating the Greeks at the battle of Thermopylae, the Persians prepared a fleet of 1,207 ships to fight at sea in the straits between Salamis, a large island, and the Greek mainland (Munson 92). Five of these ships belonged to a female commander from Halicarnassus: Queen Artemisia. Herodotus introduces Artemisia by saying, “Of the officers I shall make no mention…but I shall mention Queen Artemisia at whom I especially marvel, who being a woman went to war against Greece….on account of her daring and manly courage, and not under any compulsion” (qtd. in Munson 91). Another translation of Herodotus substitutes the words “great spirit and vigor of mind” for “daring and manly courage” (Herodotus 344). It is at any rate clear that the qualities which Herodotus ascribes to Artemisia are worthy of the highest esteem. Rosaria Munson states that “Unlike most other ruling queens of the Histories, Artemisia is of Greek stock and a ruler and commander of Greeks” (Munson 93). She retained power in her kingdom after the death of her husband (“Artemisia I of Caria”), but translations differ about whether she maintained power because her son was not yet of age or because of her sheer force of will (Herodotus 344, Munson 91). Her military judgment was unimpeachable in the narrative: she advised Xerxes to engage in a “joint land-sea offensive” at Salamis, and Xerxes ignored the advice which resulted in a loss at Salamis (“Artemisia I of Caria”). After the battle, she advised Xerxes to return home to protect himself: this time he followed the advice to positive ends (“Artemisia I of Caria”). The King’s trust and regard for Artemisia were expressed after this incident when he sent his children with her to Ephesus (Herodotus 406). Artemisia was not, however, revered by everyone. The Greeks offered 10,000 drachmae for her capture because they believed that it was “a most disgraceful circumstance that a woman should fight against Athens” (Herodotus 403). She also had political enemies in the Persian court who envied her relationship with the King (Herodotus 397). “Artemisia I of Caria.” Wikipedia.com. Wikipedia. Web. 31 Jan. 2012. “Battle of Salamis.” Wikipedia.com. Wikipedia. Web. 31 Jan. 2012. Herodotus. Herodotus, Translated from the Greek, with Notes and Life of the Author. Trans. William Beloe. Philadelphia: McCarty and Davis, 1844. Web. 31 Jan. 2012. Munson, Rosaria Vignolo. “Artemisia in Herodotus.” Classical Antiquity 7.1 (1988): 91-106. Web. 31 Jan. 2012.